The Ortega Classic String Winder is a must have for any guitar player. It allows you to tune and wind your guitar's loose strings with ease. This string winder is ideal for changing guitar strings. The string winder's notched head allows you to quickly and safely remove bridge pins. This string winder is perfectly shaped for nylon string and acoustic guitars. 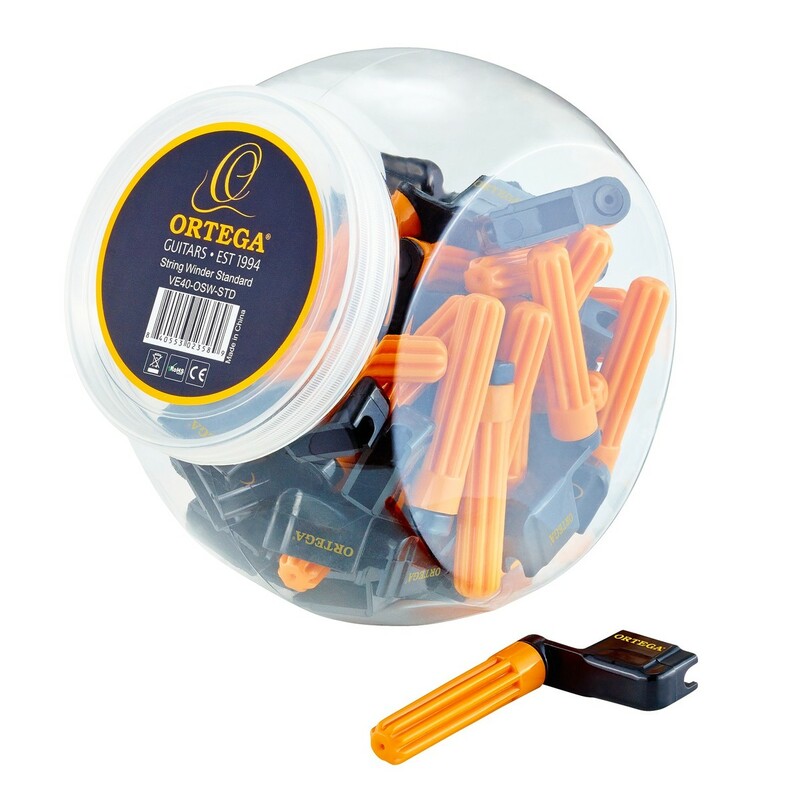 This product comes with 40 black and orange string winders.